Moon Men and Teletubbies | 30th Anniversary Issue | Style Weekly - Richmond, VA local news, arts, and events. We found ourselves at Virginia Union University's audio library in 2008, which at the time consisted of a small boom box and a pair of headphones, because we were bored one day. It had absolutely no news value whatsoever. We've been waiting for an excuse to relive that moment in talk-radio history when a certain former governor took on the late Rev. Jerry Falwell for attacking a certain purple, purse-carrying supposed icon of gay pride. "Teletubbies" star Tinky Winky might have been light in the toes, according to Falwell, but Doug Wilder wasn't having any of it on his radio show on WRVA 1140-AM (yes, it was a slow news week). 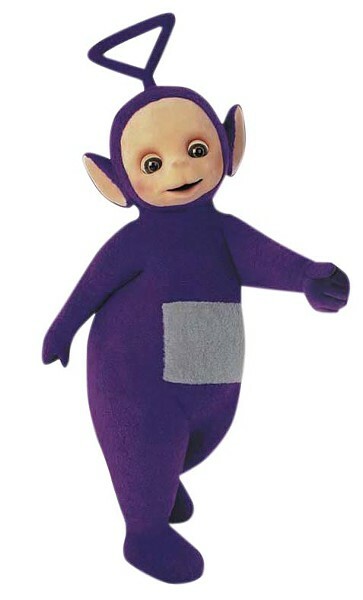 Republican caller acknowledges his 2-and-a-half-year-old has a Tinky Winky. Wilder: I told you my little grandson is only 15 months old. He's got one. He just grabs him by the hair, and then shakes him and throws him on the ground and loves him and then beats up on him. It has no more connection with homosexuality or gay involvement than the man in the moon, but it's that type of perception that comes through. And it's troubling. Caller: I can tell you my 2-and-a-half-year-old wouldn't have a clue what a homosexual was.